« Is Agile Too Slow? …I’m looking for a new job. 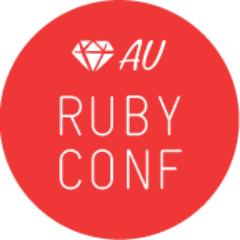 I’d love to find a job where I could write complex, interesting Ruby and/or Rails code four days a week, and work on growing the Ruby community (via the RailsBridge workshops, hackfests, and other new stuff!) one day a week. I and the rest of the organizers of the Ruby workshops have already made a measurable impact on the SF Ruby community. At the last monthly meetup, we had about 9% women, compared to the 2-3% that was previously typical. We have lots of great ideas for programs that build on these workshops and other stuff we’ve been doing. But since we all squeeze this stuff in on nights, weekends, lunch hours, etc., it’s been hard to find the time to get anything new started while keeping the workshop momentum going. Is it crazy to ask a company to sponsor me at 20% time to grow and amplify this work? Possibly, and it certainly has to be coupled with something fun and challenging to work on the other 4 days. But I think this job exists, or could exist. There are quite a few companies out there who’ve bet the farm on Ruby. I’m sure they’re interested in making the community stronger. That’s what I’m interested in too. Let’s find some way to work together. sarah mei at gmail is the place to go.